Peugeot launched the 207 in January – a few months earlier than expected – in response to tough conditions in the small-car market. The 207 must compete against 80 models compared with 44 when its predecessor, the 206, debuted in 1998. Peugeot assembles the 207 at its Poissy, France, plant next to the Peugeot 1007 small minivan. 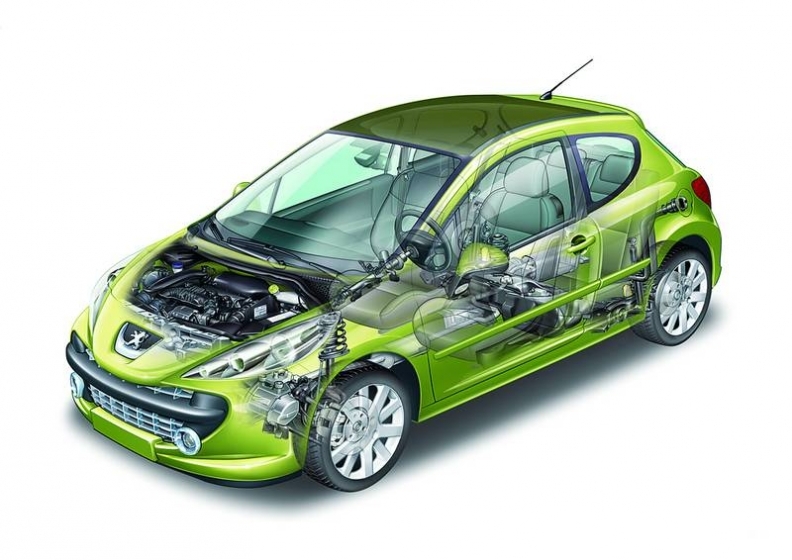 Starting late this year, Peugeot also will build the 207 at a new plant in Trnava, Slovakia. That gives PSA a direct and indirect labor cost savings of E500 per unit compared with Poissy, Deutsche Bank said in a research note. In 2007, the two plants will assemble about 250,000 units each. To guard against supply interruptions, Peugeot uses two or more suppliers for several components, such as Lear and Frances Faurecia sharing the seating supply contract. Valeo of France and Italys Magneti Marelli-owned division Automotive Lighting both deliver front lights, while Frances Allevard Rejna and Germanys ThyssenKrupp and Mubea all deliver steel coil springs for the suspension.